57. Nearing the end – a new beginning! Well, two programs are almost completed. It’s school holidays now. Once term resumes, the two other pilot programs will have three weeks to run. I am still feeling that we could have had another three months with these pilots for them to be more effective, so it will be interesting to see what the results of the end of program online Mentor Profiler and Student Performers are. I have just completed an analysis of the first pilot’s Mentor Profilers and Student Profilers. Both show significant growth in the students’ development, while the mentors, as a group, have also shown more signs of positive development than I was expecting. I am awaiting some more feedback to my analysis from the founders of the program. Once I have this, perhaps I will place a summary as a separate blog page. It is looking like we have lost one student from one of the pilots. She has not been at school for many weeks and thus could be regarded as a student who has disengaged. Not even being a part of the mentoring program persuaded her to stay at school. 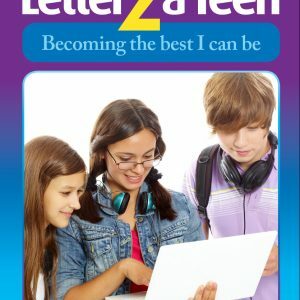 Sadly, negative peer pressure, self-esteem issues and other personal issues have won the day, let’s hope only temporarily, as she has so much more potential than even she seems to realize. She had such a fantastic mentor who was prepared to walk the extra mile for her, but to no avail. Had we started the program in February instead of May perhaps she might still be at school and participating positively in the program – we will never know. However, there have been more positives in some of the relationships. Mentors accompanied their mentees to the Apprenticeship Expo last week or else had assisted their mentees with Resume writing (CV), so they could deliver these to any potential employers. I suppose a slightly negative point was that some of the youngsters who should have gone to the Expo did not do so. There will be excuses made, but ultimately this lack of energy or determination (possibly self-belief?) to get there would be reasons why they are involved in the GR8 MATES program. It’s also good to hear how mentors are arranging work experience opportunities for their mentees and how they have assisted their mentees with their subject selection for 2009, often because they had been exploring possible careers together. The second program at the school where we had our first pilot is going so well. There are a couple of disciplinary issues or absences that have slowed down the progress of a couple of relationships, but these mentoring relationships have plenty of time to get going next term. 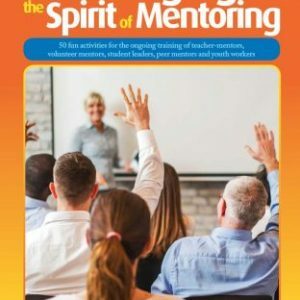 I am thinking that most of the mentors and their students have already got a pretty good connection, a couple have fantastic connections so early in the program, suggesting that those students were totally ready for the mentoring journey. It was good to hear that one student invited his mentor to watch him playing in a school activity, while another mentor has been watching his student playing Soccer matches during weekends. The latter student brought a whole lot of his Soccer medals to school the week before last and was wonderfully affirmed by program staff and his mentor and, I suspect, some of his peers quietly admired his achievements.